Dückers, MLA, Reifels, L, De Beurs, DP, Brewin, CR. 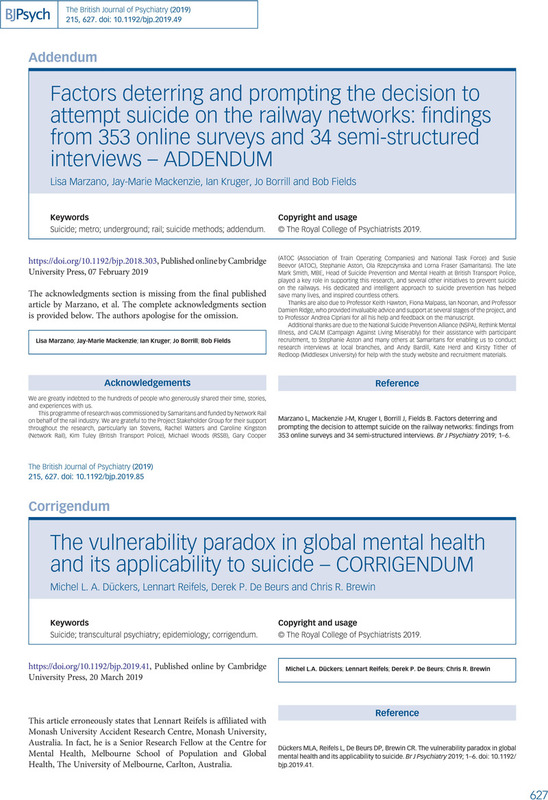 The vulnerability paradox in global mental health and its applicability to suicide. Br J Psychiatry 2019; 1–6. doi: 10.1192/bjp.2019.41.